White's Watch and Clock Service specializes in watch, clock, and related mechanical repairs. 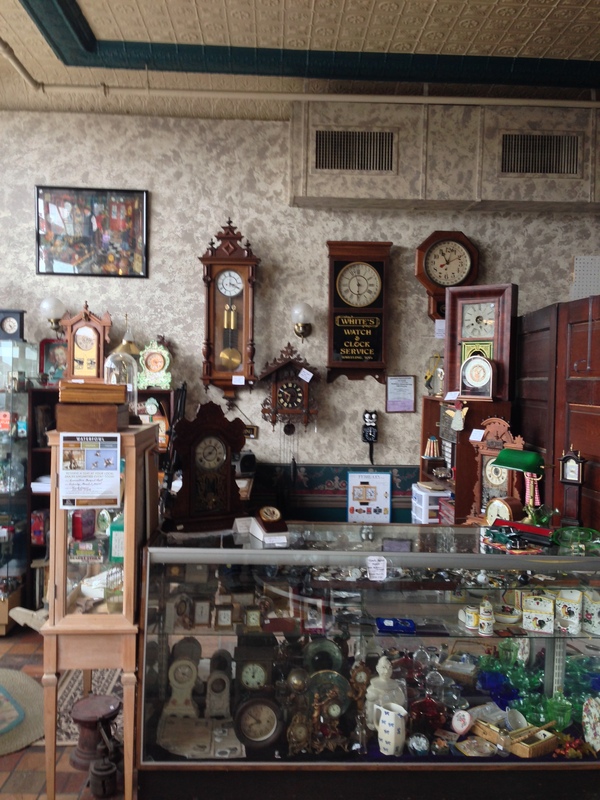 We also carry a full line of vintage timepieces and good quality clocks. We are an authorized Kit-Cat Clock (TM) dealer. 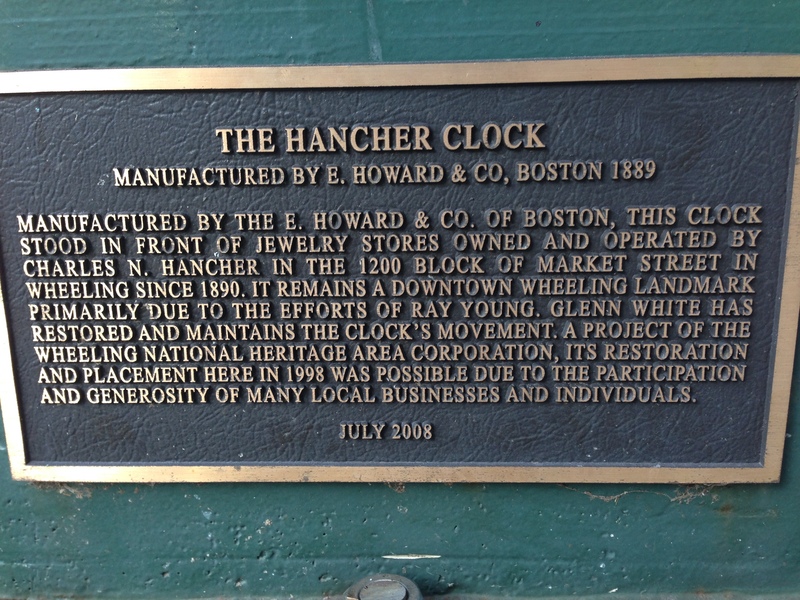 For the past 25 years we have maintained the Hancher Street Clock on Main Street in Wheeling. This clock was manufactured by the E. Howard Clock Company of Boston in 1889, and was installed on Market Street in 1890 in front of the Hancher Jewelery Store. 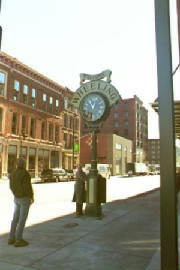 This clock has come to symbolize the Victorian preservation of Wheeling.